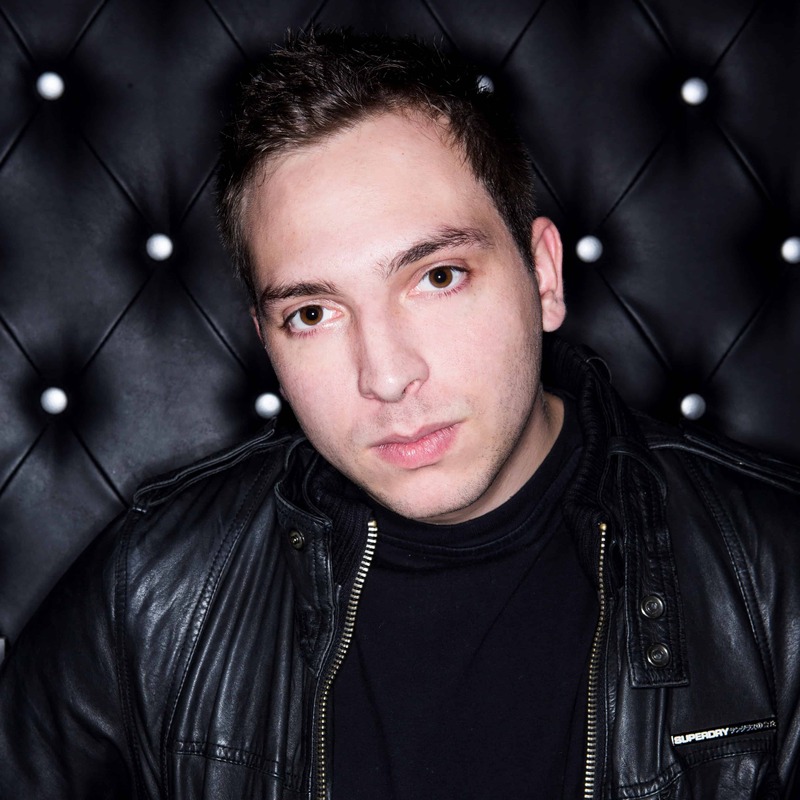 We talked with James Dymond about his participation in the mix-compilation “Future Sound Of Egypt 500 – The Cronicles”, his new “teaching producation” project, his music and much more! Enjoy reading! 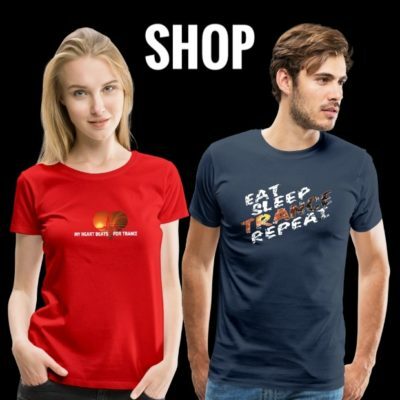 TranceAttack: Hey James, fantastic to have you on Trance Attack! How’s it going? Where do we find you at the moment? James: Hey! Thanks very much for having me, I am great thank you! Currently I am in the studio working on some on going projects and some new stuff. Not much to talk about at the moment as it’s all still early days, but plenty of ideas are floating around the studio right now! 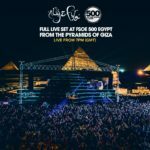 TranceAttack: Future Sound Of Egypt celebrates #FSOE500 with “The Cronicles” compilation. Congrats for your participation! Are you proud to be part of it? James: Thank you! Yes of course! It was an absolute honour when Aly & Fila asked me to mix the main Future Sound of Egypt CD this year instead of themselves like previous years. It was a big task but they sent me so many great tracks I was actually struggling to include all of my favourites! I’ve always love doing mix compilations, and to be able to do it with my home label is quite the milestone for me! TranceAttack: What can the listener expect from your mix? Is it a label showcase or a James Dymond showcase? 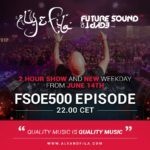 James: It’s definitely not a James Dymond showcase, more a FSOE showcase – but of course it does include quite a few tracks of my own. However, I wanted to include some tracks which I have been regularly playing out from some of my favourite artists so there were a few in there from other labels. Aside from those, the rest were of course awesome tracks from the main FSOE label. TranceAttack: How did you choose the tracks for your mix? James: Pretty simple to be honest… FSOE sent me over a bunch of tracks and I picked my favourites out of the lot! As mentioned above there were more I wasn’t able to include in the mix unfortunately. I also contact some of my DJ friends who have record labels in the industry and asked if they had any tracks available that I could license for the CD – which they kindly sent over. TranceAttack: You’re about to start a new project where you start teaching production. You’re not the first icon that want to teach his skills to the offspring. What is special about your project? Who is your target group? James: Since setting up my studio 4 years ago, I’ve been teaching and helping many artists and producers within the Trance scene. I’ve never hidden the fact that I had a lot of help when I was first learning to produce. So from that ethos I’ve always thought that I have to give back the knowledge to others the way it was given to me. Within the last few years I’ve been working with the online tuition website “Sonic Academy”, where I have produced a number of production video series showing how I make a track from start to finish. I absolutely love working on these as it really felt like I could fully express myself without time constraints and dive deep into music production. Recently I was approached by the legendary audio hardware company Focusrite, who asked if I wanted to be part of their team at Brighton Music Conference. For those who don’t know what BMC is, it’s much like Amsterdam Dance Event where many of the leading teams in the electronic dance scene come together to give talks, seminars and workshops. This year I will be hosting 2 one hour music production seminars on music production. Giving the attendees an insight into my “in the box analogue” production style I incorporate in all of my music. It’s going to be really great and I can’t wait for the event as a whole. It’ll be the first time I’ve done something like this in front of a big audience, so I’m nervous but also excited to be working with Focusrite and BMC. TranceAttack: There is a long list of big names you worked with. You also gave the “Dymond-Touch” to a lot of releases as remixer. Are there any artists left you would love to work with or you would love to remix? 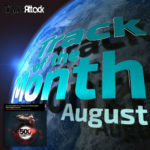 TranceAttack: We heard about some very special shows on your agenda the next days. Tell us something about it! James: Without giving away too much of events that haven’t been announced already, but this year is looking pretty busy for sure! Over the coming months I will be in Poland, Madrid, The Netherlands (2x), Thailand, Canada – looking at another Australia tour as well as back to the USA as usual. And no doubt I’ll be in and around Asia throughout 2018 – absolutely love playing there! 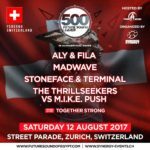 And of course, I will be taking part in the FSOE 550 global tour. Already announced is Manchester, UK, where I played B2B with Darren Porter last year. So can’t wait for that again! TranceAttack: How did you come in touch with music and trance? James: Before Trance I was all about Classical, Jazz, Blues, Rock & Heavy Metal. I’ve played Piano from a young age which I was classically trained in. I also learned to play the Guitar, which I then jammed with my friends in a couple of novice bands. Only until I was about 18 was I introduced to Trance. I can’t remember the exact point but I was shown the Gatecrasher Classic CDs, which me and my friends continuously listened to. I fell in love with the genre due to the sheer emotion in the music and the amazing and varied melodies in each track. Very similar to Classical music where by you’d tell a story throughout the track. Only until I was at university did I get my first set of CD decks (around 20 years old), which I then burned my favourite Trance tracks onto CDs to practice mixing. However, at the time I was also really into House and Funky/Disco House. Me and my friend had a Friday night slot at my universities student union, where we would play everything from R&B and Rap, to House and Disco. Then ending on Trance for the last 30 mins when there was no one left as they had all gone out into town haha!! TranceAttack: Can you describe your sound in three words? TranceAttack: What are your favorite Trance Tracks at the moment? James: Solarstone & Indecent Noise – Querencia (Giuseppe Ottaviani Extended Rework) – my absolute favourite track from 2017. It has everything I look for – energy, creativity, production and of course a huge melody. Bjorn Akesson – Vival (Original Mix) – Bjorn is a good friend of mine and it was awesome to hear previews of the track as he made it. I really love the classic Trance feel to the main melody, as well as the pumping bassline and energetic intro. TranceAttack: Who are your favourite artists at the moment? Who should we keep an eye on? James: Alex Di Stefano – all of his originals & remixes are top notch, always in my sets. Chris Schweizer – not only a great friend but an unbelievable producer. His tracks really bring Tech Trance to a new level and I can’t stop playing them out! 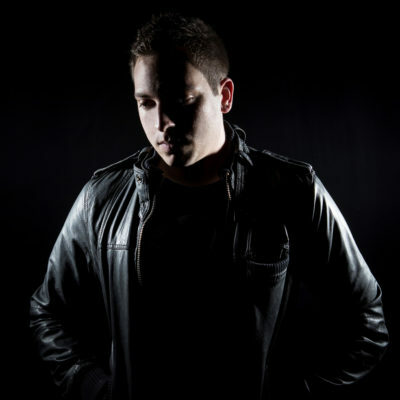 Sean Tyas – one of the legends in the scene and I love the new direction he’s taking with the Psy Trance. Even more so when he releases the occasional Uplifter like his vocal collab with Catherine Amy – Twilo. James: I really like where the Trance scene is at right now, maybe I’m a little bias because my sound fits within a lot of events. My music is aimed at the peak time, 138bpm uplifting crowd, which I have found is as strong as ever in terms of events and bookings. Then you have the slower 130-132bpm “big room” Trance from the likes of Armin van Buuren, Mark Sixma and Orjan Nilsen to name a few. Although this may not be my style, I still definitely like a lot of what is being release in that sound. After Djing after some of the Djs who play this sound, I really haven’t found much difference in crowd reaction to their slower big room sound to my faster uplifting sound. The Trance crowd really do appreciate it all. The only thing I think is REALLY lacking right now, is some PROPER progressive Trance. The mid range 134bpm progressive focused on atmosphere and uplifting riffs. Honestly, the last DJ I can think of who was pioneering this sound was Protoculture. But right now, there are so few who are taking on this style. The DJ/Producer Monoverse for me is the 2018 sound of progressive Trance. And it’s even better he has his sub-label of FSOE called ‘Parallels’. I really love the music he it putting out on there, I just wish there was more of it in the scene. As well as more promoters booking the artists who play this sound as the pre-138-bang-bang-uplifting-tech sound. TranceAttack: What was the last film you watched? DVD or Theatre? James: Last film I watched was Darkest Hour, telling the story of Winston Churhill gaining status as prime minister during WW2. Fascinating film! Before that I watched Star Wars: The Last Jedi. I LOVED IT! It had some downfalls, but I don’t care… ***incoming expected hate and arguments*** lol. Tagged FSOE500, Future Sound Of Egypt, James Dymond.